Here's an ad that should be a show-stopper during the Oscars on Sunday night. The beautiful 60-second spot from Comcast tells the story of Emily, a 7-year-old girl who was born blind. 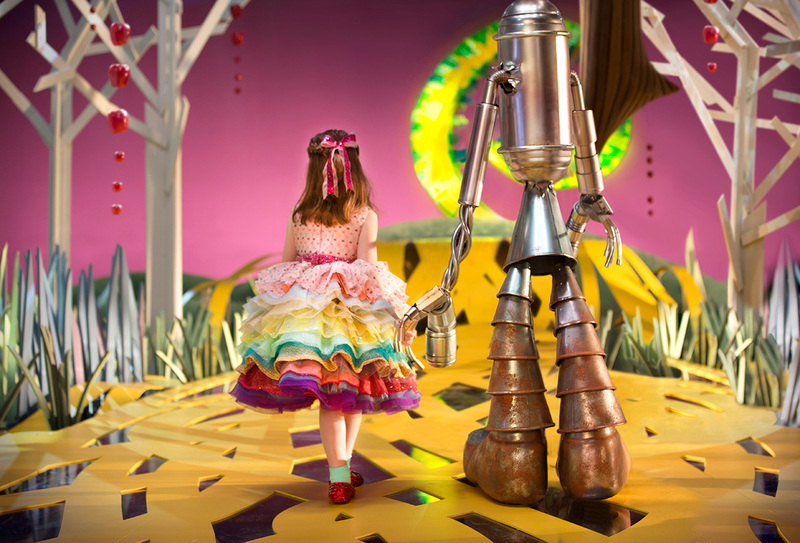 Comcast asked Emily to describe what she sees in her mind's eye when she watches The Wizard of Oz—and then the company built that version for her, using skilled set and puppet designers and makeup artists. The ad goes on to explain that people with visual disabilities can get more out of watching TV with Comcast's "talking guide." Developed by the Comcast Accessibility Lab, it includes voice guidance and one-touch access to closed captioning—and is part of Comcast's commitment to helping people with disabilities enjoy entertainment. Two-time Academy Award winner Robert Redford delivers the voiceover at the end. The spot, which alone is a wonderful mix of palpable emotion and impeccable craft, is supported by lots of online materials that show the whole backstory. There are videos introducing Emily, showing her describe her Oz in much greater detail, and highlighting the craftsmanship that went into building the physical manifestation of what she imagines. The website, EmilysOz.com, developed by agency Huge, also offers more information about the technology behind Comcast's accessibility services. All in all, it's one of the more beautiful campaigns of the year so far. "We want to create opportunities for people who love film and television but who might not have the opportunity to experience it to its fullest," said Tom Wlodkowski, Comcast's vice president of audience, who has been focusing on the usability of the company's products and services for people with disabilities. "By bringing the talking guide to as many people as possible, we can help to bridge that gap and make entertainment just as compelling, captivating and fun for people with a visual disability as it is for anyone else." It's also a major creative triumph for the agency. "We're really proud of this one," said Paul Caiozzo, executive creative director of Goodby, Silverstein & Partners in New York. "It's the first big national spot to come from this office, and it's great to have this work debut on a big stage like the Oscars. It's a beautiful moment for GS&P New York." He added: "It's not often you get to do something that feels meaningful on a level far beyond advertising. It definitely shows how entertainment truly is for everyone."